Sean Dyche won’t be pushing any of his three England international goalkeepers out of the door. But if either Tom Heaton, Joe Hart or Nick Pope wanted to leave on loan, the Clarets boss would at least discuss their situation. Heaton is currently the man in possession of the jersey, having started the last two Premier League games, having replaced Hart, who was previously an ever-present. And on Saturday, against Barnsley in the FA Cup, Pope made his first appearance since dislocating his shoulder at Aberdeen in July. Perceived logic is that three into one position doesn’t go, and Dyche won’t be able to keep all three happy - and Preston are believed to have asked about the possibility of taking the odd one out on loan, before signing Connor Ripley from Middlesbrough. However, Dyche wants to keep that competition at the club, and, asked if any of them could leave, he said: “Only if they wanted me to listen to requests, if they said for whatever reason then I will listen. “I trust them all, they are all old enough and wise enough. 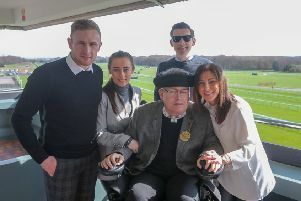 “Popey is slightly younger but he is a mature lad, and with Tom and Joe they know the time to come and say ‘look gaffer, where is this at?’ and that is what Tom did a few months ago. “I respect him. At his level and his age and his understanding of the profession, then it is not about me deciding, usually it is about them saying what they think.